A & J Fencing is a family owned custom fencing company and deck builder that has been servicing Lafayette and the East Bay area for over a decade. Our goal is to provide you with the highest quality service and craftsmanship that allow you to enjoy your Lafayette outdoor space to its fullest potential. In addition to our hardworking employees and thick, high quality redwood materials, we also have a maintenance program to deliver the highest customer satisfaction. 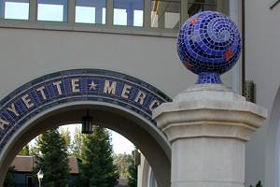 Headquartered close-by in Walnut Creek and serving the communities in which our employees live, we are extremely familiar with Lafayette, Orinda and Moraga’s architectural environment. Homes are an eclectic mix, ranging from traditional with an East Coast feel to California single-level ranch. And these days, in many Lafayette neighborhoods, remodels are more common than new construction projects. We realize that as a homeowner in this community, you require quality fencing and outdoor construction that are custom designed to fit your unique property. Contact us today about your Lafayette redwood fencing, decking and patio cover needs.